Eli's Cheesecake dropped off some cheesecake at ABC7 for National Cheesecake Day. 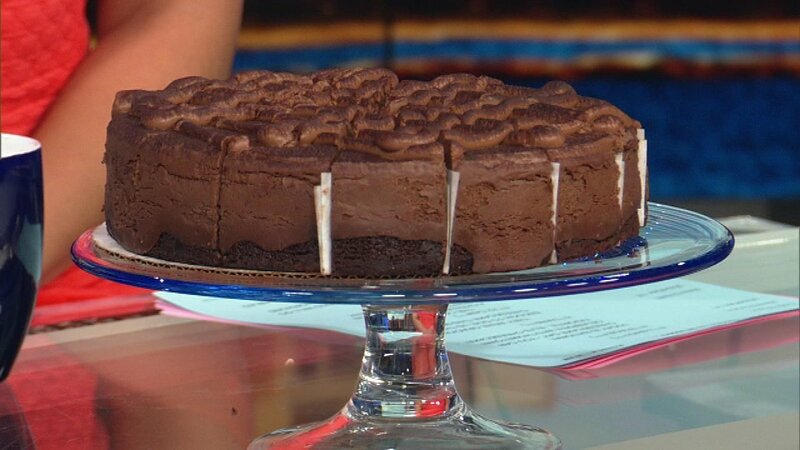 CHICAGO (WLS) -- Sunday is National Cheesecake Day and you can celebrate with hometown favorite Eli's Cheesecake. Eli's was gracious enough to drop off some cheesecake at ABC7. The company is hosting a Cheesecake Festival starting at 9 a.m. at the Eli's bakery, 6701 West Forest Preserve Drive in Chicago. Activities include a 16' long cheesecake-eating Raptor dinosaur puppet from the Jurassic World exhibit at the Field Museum, The Jesse White Tumblers, the cheesecake "Olympics" including hockey with a cheesecake puck, cheesecake hula hoop contest and more. Money raised will go toward the New Horizon Center for the Developmentally Disabled. For more information, click here.